"The MISA woman spends her life traveling the world, leaping from one exotic location to another. Whether it’s a woman who lives this lifestyle or simply weaves exotic dreams in her everyday; the MISA woman is living on a whim, and always dressed for any occasion. She tells her journey and story in her clothes, and will have the ultimate wardrobe. 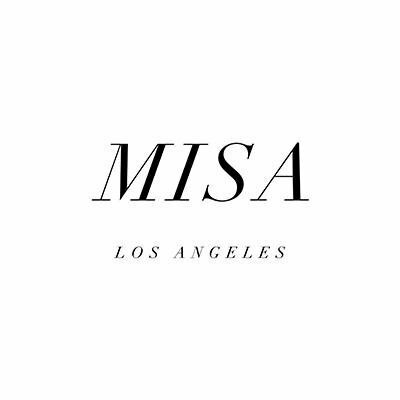 Created in 2016 by Shadi Askari-Farhat, MISA is a combination of her daughters’ names, Milla and Sayeh. MISA is deeply inspired by Shadi’s travels and her love for global style. MISA will continue to transform and grow creating feminine, effortless and unique pieces alongside Shadi and her two beautiful girls."